DAVID LE/Staff photo. 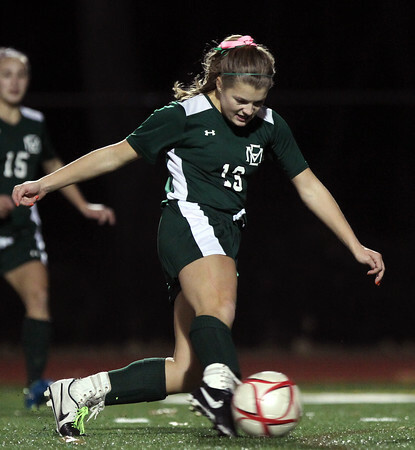 Manchester-Essex sophomore forward Hadleigh Richard (13) fires a shot on net against Essex Tech on Wednesday evening as the 14th seeded Hornets upset the 3rd seeded Hawks. 11/4/15.